X Factor Winner Matt Cardle appeared at VIAM2014, supported on stage by the choir from his old school, Stoke College. 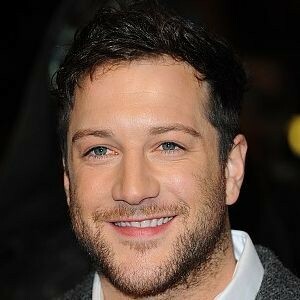 Matt Cardle is an English pop rock recording artist and songwriter. Cardle was born in Southampton, England and grew up in Halstead, Essex, England. Cardle has been involved in music since his early teens and has been a member of two different bands; Darwyn and Seven Summers, with whom he experienced limited success. Cardle rose to fame after winning the seventh series of The X Factor, and received a £1 million recording contract with Syco Music and later signed a deal with Columbia Records. Upon Cardle’s victory on The X Factor, he released winner’s single and debut single, “When We Collide”. The track was made available to purchase on 12 December 2010, shortly after the show had ended. On 19 December 2010, the track debuted at number-one on the UK Singles Chart as well as Irish Singles Chart. The track also became the second biggest-selling single of 2010 with 815,000 copies sold within two weeks. In June 2012 it had sold 1 million copies, the fourth largest by an X Factor contestant. “Run for Your Life” was the follow-up single released by Cardle which charted at number 6 on the UK Singles Chart. Cardle went onto release his debut album, Letters, in 2011, which debuted at number-two on the UK Albums Chart and the Irish Albums Chart. The album saw two more singles released, “Starlight” and “Amazing”. Cardle then parted ways with record labels Syco Music and Columbia Records, and signed a recording contract with So What Recordings in early 2012. He released his second studio album, The Fire, which charted at number 8 on the UK Albums Chart. In October 2013, Cardle released his third album, Porcelain, in association with Absolute Marketing as an independent release. It reached number 11 on the UK Albums Chart. The lead single was a duet with Melanie C, called “Loving You”, which was released on 18 August and reached number 14 on the UK Singles Chart. Cardle is a guitarist, and plays frequently on tour and other performances. He also plays other instruments including drums and piano. He has toured the United Kingdom and Ireland on his Letters Tour in 2012, Unplugged Tour in 2013 and Porcelain Tour in 2014. Cardle has combined album and single sales of over 2 million.